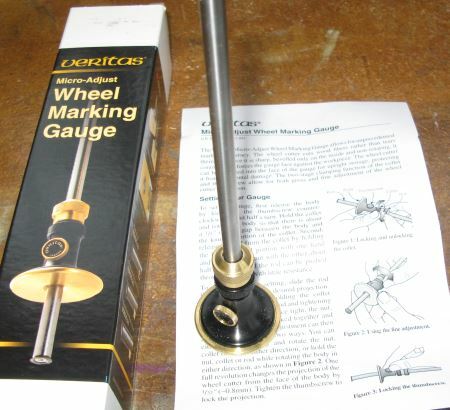 The brass and black main body of the gauge makes it very distinctive, this is the fine adjust version and so the thumb wheel lock for the body and the threaded lock/fine adjustment. The instructions are simple and not really needed as this is so simple to use. 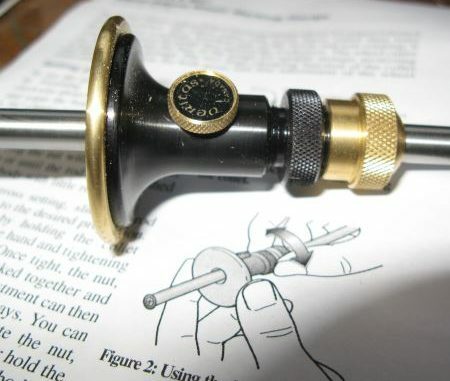 The only useful insight to me was how to sharpen the circular cutting tool whereby you unscrew the cutter and then sharpen face down on a stone or diamond pad. The cutting disc is very sharp as delivered and I imagine will keep an edge for quite some time. I used the gauge to mark out a line on some mdf that I was cutting and it cut a very fine line into the surface. The disc cuts very cleanly and being a disc is designed not to follow the fibres/grain and go off-course. 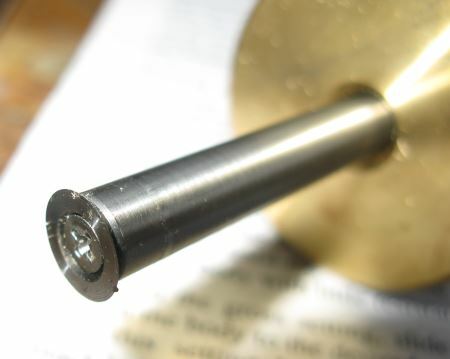 The fine adjust is achieved by locking the body to the rod using the knurled screw that is fitted to the end of the main body, the main body can then be rotated on the thread to adjust the distance and then locked with the knurled screw that sticks out at 90° to the body. A little bit of practise with this and then it all just fits into place and really works. A very beautiful marking gauge that also does the job that it was designed to do very well indeed. Price: approximately £23 from axminster.co.uk.